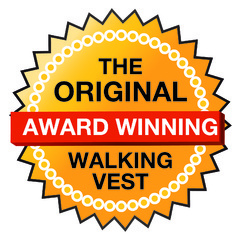 Our award-winning, difficult-to-escape-from Kitty Holster® cat harness is a US-made, soft, comfortable walking vest that secures with ultra-strong velcro closures to keep your cat safe and sound. 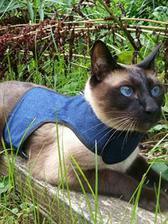 This breathable, washable cotton cat harness with undyed lining is suitable for all skin types and climates. The Kitty Holster® cat harness is perfect for handling your cat at veterinary appointments, taking your cat RVing and traveling, walking your cat, visiting friends and family with your cat, and taking your cat out on a balcony. Also available as a high-visibility safety vest to assure that your cat is easily seen both day and night. 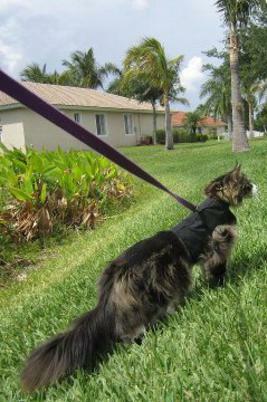 Wherever you plan to walk your cat, the Kitty Holster® cat harness will provide you with peace of mind knowing that your cat is both safe and comfortable. to Train Your Cat to Walk On a Leash." comfortable, lightweight and secure “clothing-like” harness that the majority of cats readily accept wearing. While the process of putting on and taking off other cat harnesses can be very stressful for your cat and frustrating for you, putting a Kitty Holster on your cat is a simple -- and much more enjoyable -- experience for both of you. You simply drape our soft cat harness over the back of your cat and reach beneath chin and belly to secure the Velcro closures. While a good-fitting Kitty Holster cat harness is very difficult for the cat to remove, it is exceedingly easy for you to take off of your cat. The closures – one at the collar the other at the abdomen -- open in opposite directions so you simply have to grasp one with the right hand and the other with the left and pull firmly to open the harness. 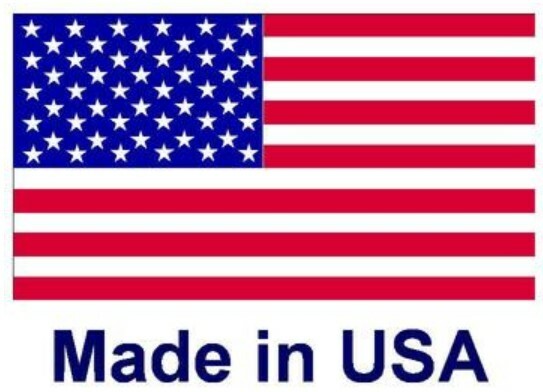 The Kitty Holster cat harness comes in both high-quality-factory made versions and customizable hand-made in the USA models. For cats and owners who like the finer things in life, we have the high-end Kitty Holster Boutique Line starting at $49.99. Custom orders welcome! Call us for a quote on custom patterns, styles, sizes and colors: 800-980-4165 ext. 0. See our FAQs for sizing information. 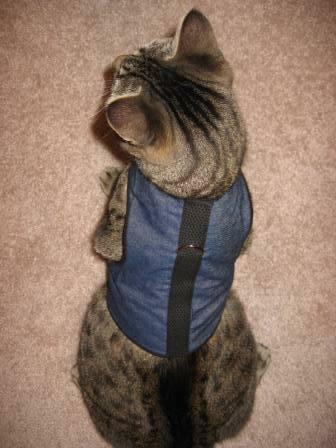 CATS WHO HATE TO WEAR HARNESSES LOVE THE KITTY HOLSTER®! TRY OUR DOGGY HOLSTER HARNESS FOR DOGS! 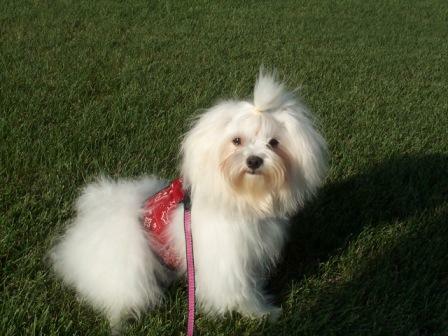 Soft pet harnesses for small dogs are typically lined with rough mesh that abrades and breaks their hair. The Doggy Holster's soft, undyed cotton lining is gentle on even the most delicate dog hair both short and long and our velcro is much stronger than that typically used in dog harnesses. P.S. - Cupcake said to tell you she's grinning ear-to-ear and looking forward to her next walk. I love the kitty holster. So easy to use and so pretty too. A life saver! Works so well and looks so much better than other harnesses I have tried. My cat comes running when he sees me pick up his Kitty Holster -- he knows that he is going to get to go outside! Great-The Best of The Best for Cat Halters!!! the ring and just pick him up and take him outside. Love the harness.....it works perfectly! My cat aggressive cat can go outside again! Great product!! Works really well! 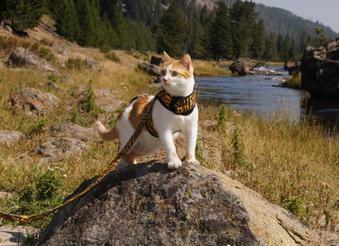 "The cat harness is adorable! What a genius idea. It's so easy to put on and seems very comfortable. Thank you so much." - Lisa R.
"I read about the kitty holster in Cat Fancy magazine.The online reviews convinced me that my cat would not try to chew off or escape from this harness. I put the harness on yesterday in the house for a while. I then attached a leash, and took my cat onto my deck. He loved it! Today I did the same. There was no struggle to wrestle and try to get out of the harness. In two short days, my indoor cat now looks forward to some outside time. Amazing! I stopped by my veternarian today to tell him about it and the success we had. My cat was always an escape artist with prior harnesses.Thank you for a great product, quick mail service, and making my 8 year old black and white tuxedo cat's days more pleasurable!" - Carol C.
​"There is one side benefit we found that has been a real blessing for us, and I wanted to let you know about it. Others may have noticed this too, but I didn't see it mentioned in any of the reviews I read. Our cat became very distraught when traveling in our motorhome and could not be comforted, but after I kept the Kitty Holster on her during one of our trips, she relaxed and didn't "come unglued!" It seems to act with a calming effect like the lap bands advertised for hyper dogs. We thought others might want to know about this and try it to see if it would work with their cats, as even traveling to the vet can be traumatizing for some kitties. Your product shows real ingenuity and superior construction. We couldn't be more pleased." - Norma A. "Our cat Pixie has never been happier!" - Megan R.
"Black-cat Norman cat-napping in his brand new Kitty Holster! Can't wait to get him outdoors with it. We love it. 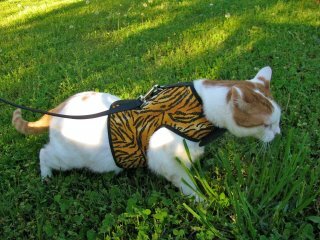 Thank you" - Courtney S.
"Thanks for making such a great cat harness jacket. Received it yesterday, and tried it out for the first time today. My bengal Nikita loves her pink polka dots and seems much more comfortable than the tradition 2-strap harness." - Elizabeth G.
" Yup, this worked. Our much older cat, Moby is fine with a more minimal harness, but new cat Eleanor… no. She came from a shelter, and is far less attached to us, especially outside with all the traffic, dogs, noise and local outdoor cats. When the neighbor accidentally startled her, she bolted, and got nowhere, so I knew I wouldn’t lose her. At first, she mostly just fell over, rolled, low crawled. After a dozen or so trips out, she is beginning to ignore it, and simply enjoy all the smells, rolling in dirt. When she’s in it, all I have to do is pick her up, she just goes limp. Which is something she won’t do inside without the wrapper, she freaks at hands coming down. Even getting it on, although never hard, has gotten much easier. The last time, she came over for me to put it on her, mewing until I did. I’m just glad I can safely take her out, since she so obviously enjoys it." - Joan W.
This harness is too cool! Great Quality! Better Than Other Harnesses! Easy Use & Comfy! Just as described, approved by cat! great -- easy to put on or take off. I just wanted to thank you for the great service and product. My cat is enjoying his kitty holster and readily wore it right from day one. I feel better taking him outside as the kitty holster provides far more control and safety. We're both happier since getting the Kitty Holster! I am so glad I ordered. (He is a Houdini in any other collar or halter). Chris M.
We're both happier since getting the kitty holster! I am so glad I ordered. Tin-Tin the cat is doing fabulous on his new holster! He accepted it right away, all I have to do is snap my fingers and he follows along like a dog. The reactions I get from people when we are out and about are so funny! Thanks for your great product. I recently purchased the kitty holster and my cats took to them very quickly. My little female does not fuss with it but my male if not busy walking tries to squirm out of it. They went out on the balcony for the first time and loved it. Even more important to me, I will able to transport my cats quickly and safely if there is an emergency. I also have a cat carrier but you have to be able to hold them as well.Thank you again for a great product. Mary J.
I received the the medium "holster" and as the previous, the quality is exceptional! THANK YOU Please extend my thanks to whom ever sews these.They do a really beautiful job! you have a great fan,and I am actively promoting your products! 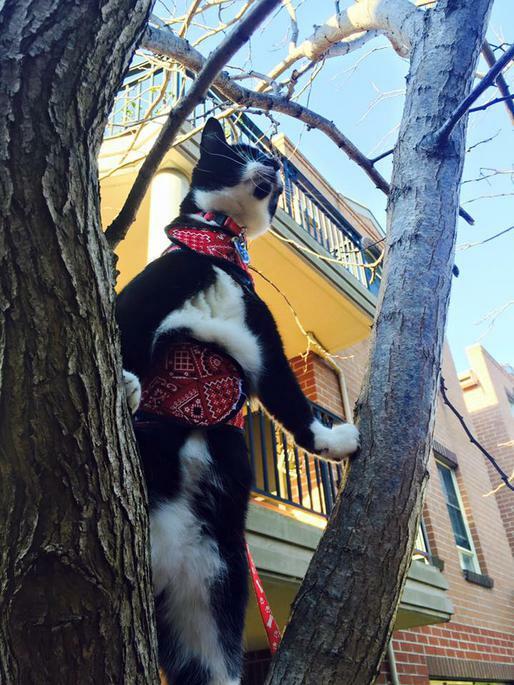 My cat Figaro doesn't seem to mind his new "wardrobe" much better than the harness he had before! The design is brilliant & kitty doesn't lay down, look sad & play dead when he has it on I'm REALLY PLEASED! - Eric K.
"Thank you for making such a quality product. Putting on and taking off the kitty holsters is quick and easy, and the cats never fuss with them on. My cats love your product so much, they run over to me and start meowing whenever they hear Velcro." - Will K.
"Received our custom Kitty Holsters and wanted to share these with you. Athena (the tortie) loves hanging on the deck and the holster is so secure I have few worries. Zeus (white fur ball with the dark tail) moved to Boston and our daughter now feels comfortable walking the 6 blocks to her Vet with him in his carrier now that she has a secure harness for him. Thanks for a great job!!" - Leona S.
"I just wanted to let you know I took Pooh Bear Outside today for his first outdoor walk and boy o boy did your product pass the test! There was a baby rabbit under one of my pots by my front door and Pooh scared it out, and it took off, and Pooh tried to take off after it, but I followed your instructions and stayed behind him while he struggled to go after the rabbit. No worries! The holster held him firmly without hurting or choking him in anyway and he calmed down very quickly. I gave him a minute to calm down, (and let the baby rabbit find a new hiding place), and I sat next to him and talked and petted him and then he was ready to resume our first walk! We ended up going all the way around the house and seeing grasshoppers, lizards, beetles, and then rolling in the dirt and grass, (I live on 5 acres for him to explore) but after 20 minutes I took him back in because I thought that was enough for our first walk, even though Pooh wanted to keep going! We can go back out this afternoon. We both had such a GREAT TIME! He loved it and so did I! He is now back inside, relaxed and sleeping deeply instead of anxiously looking out the windows for hours longing to be out. All my house are house cats, but now we have a new advenure awaiting us outdoors everyday! Thank you so much for such a great, comfortable, safe, and well made product. Pooh Bear and I Love it! (And the baby rabbit that got away is probably relived that your product worked so well too!)" - Ann R.
"Miracle loves her new harness!" - Di K.
"I recommend the kitty holster for anyone with a kitty that wants to go outside. My Jake was I8 years old before I lost him to bad health but I think going outside with his kitty Holster helped to extend his time with me. I didn't get him until he was 11 and only got 7 wonderful years with him but every day was cherished. 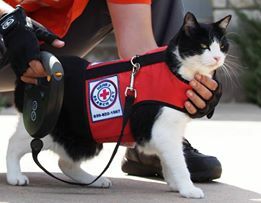 He loved to go outside and when he saw his little outfit, the kitty holster, he got excited and knew he got to go out. He loved to go out and sniff the plant life, look at squirrels, bunnies and hawks." - Kori L.